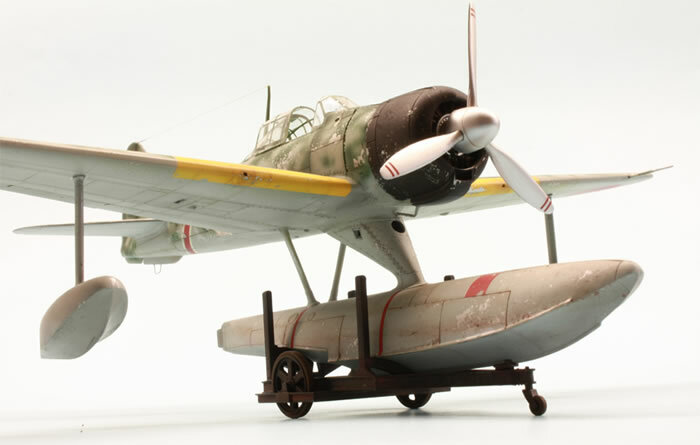 Two mainstream kits of this interesting floatplane fighter are available. 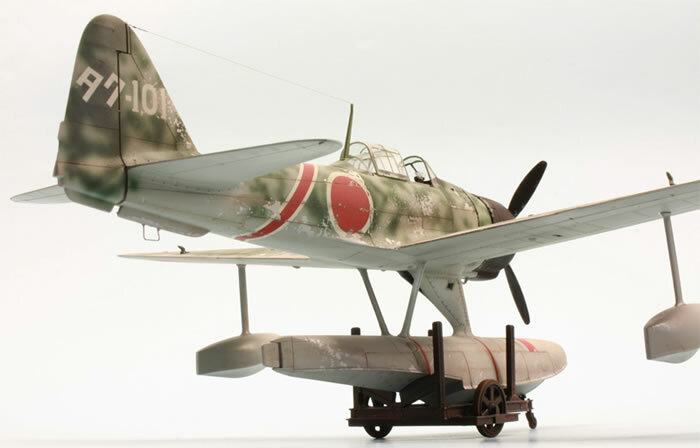 Recently I have built both of them in a kind of “kombo- build”. 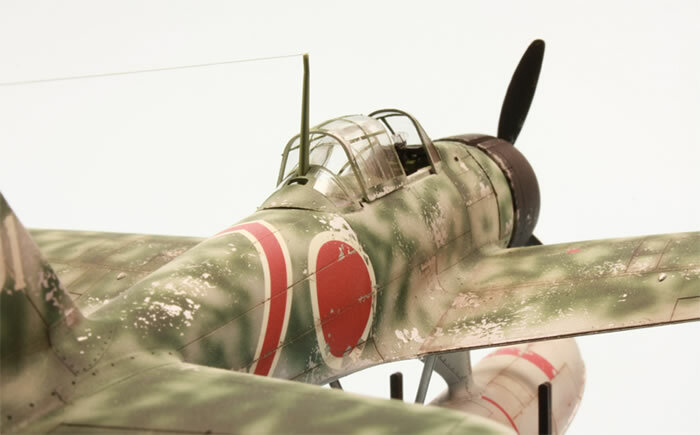 What you can see here is the offering of Hasegawa. 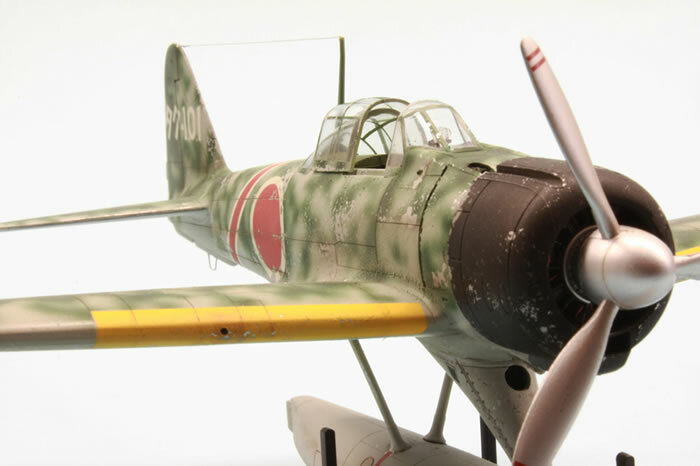 Even a quick look at the parts reveals that the plastic parts of this kit are more detailed and sharper in outline, the parts breakdown, especially in the cockpit area and for those parts assembling to the radial engine, looks far more sophisticated than those of the older Tamiya kit. 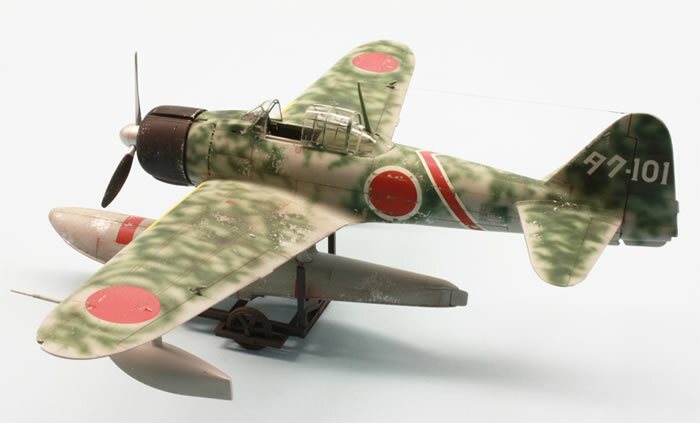 Of course, that takes no wonder thinking of the age of this model. 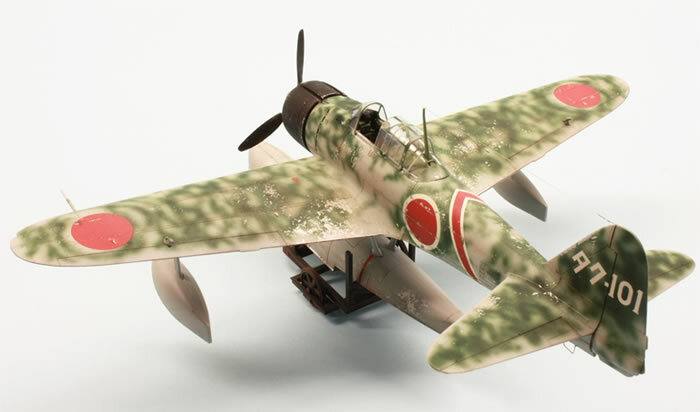 Considering this, Tamiyas Rufe is still a fair offer. 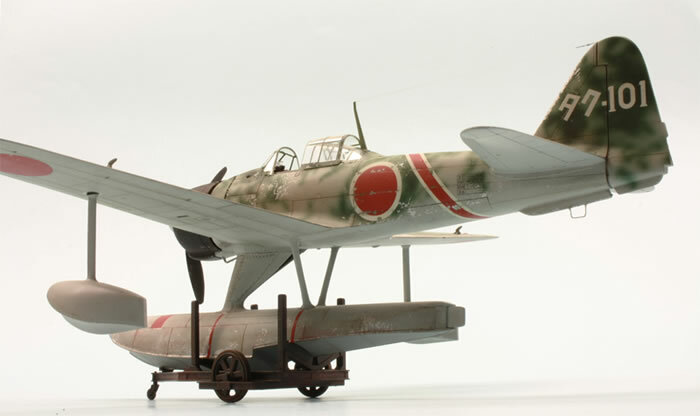 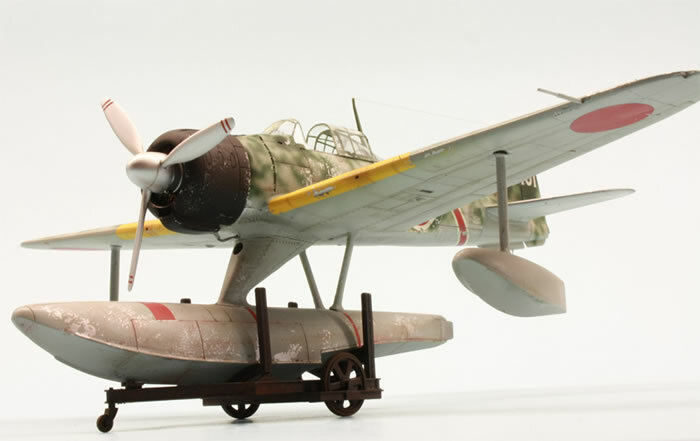 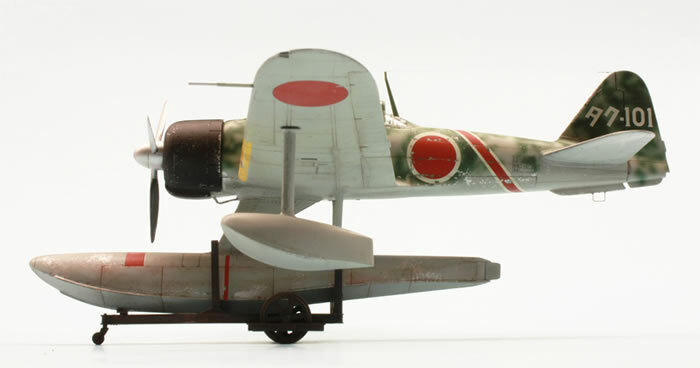 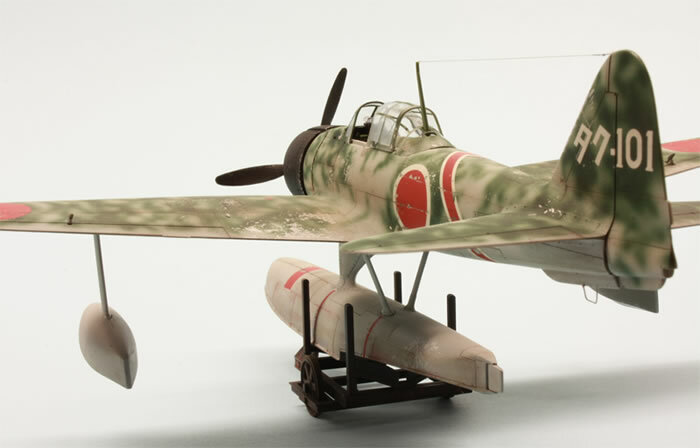 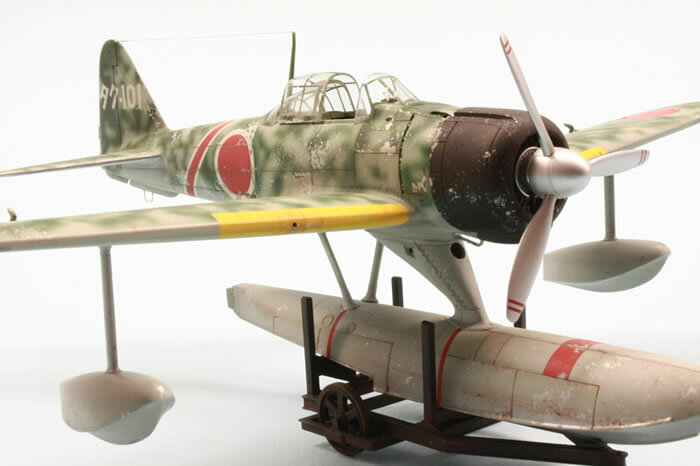 My model represents a A6M2- N flown by the Takuma Flying Group, one of three variants provided in the kit. 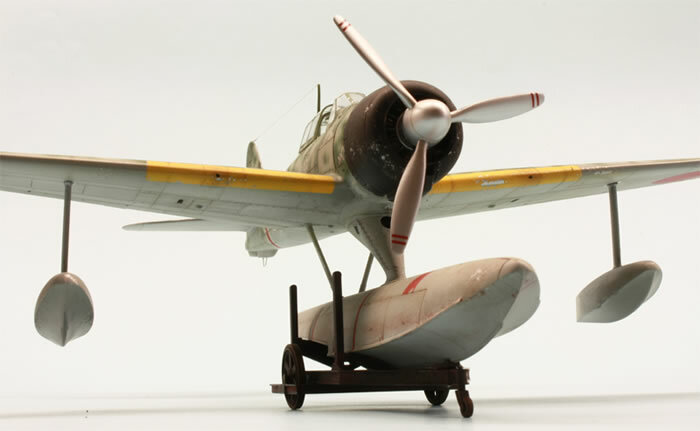 The “chipped effect” of the surface was achieved with maskol that has been dabbed on a coat of Alclad “White Aluminium”. 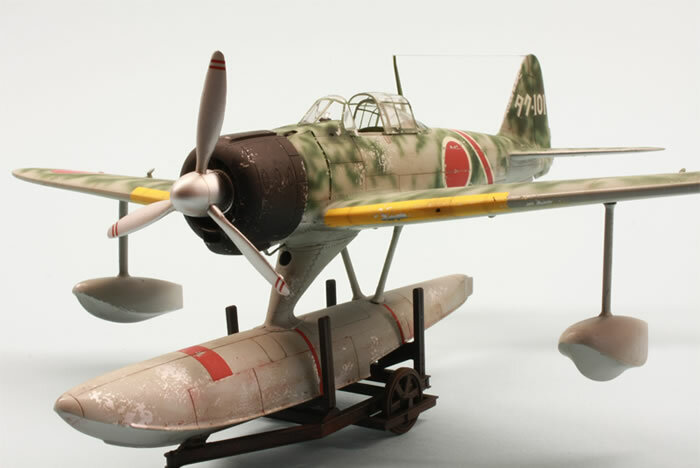 After finishing the paint-work, all the maskol was rubbed off, exposing the imitated natural metal surface. 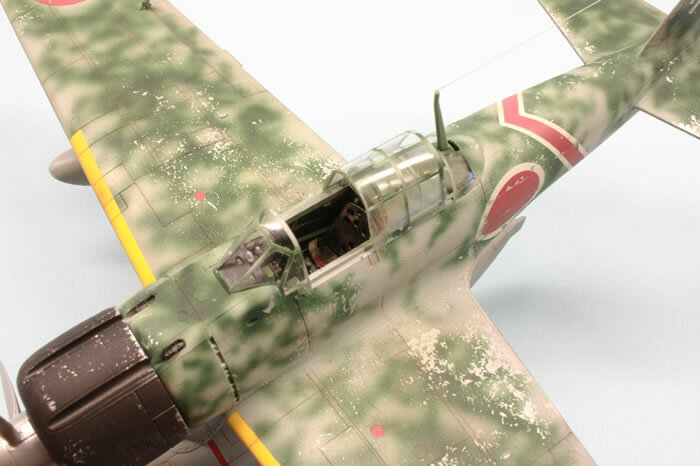 All the kit decals have been used; some etched from a Eduard detail set has been spent for some further detailing of the cockpit.